The Big Almaty lake was formed as a result of movement by an ancient glacier. Thanks to its location in the mountains, the water in the lake is always cool – even in July, the water temperature does not exceed 10 degrees. 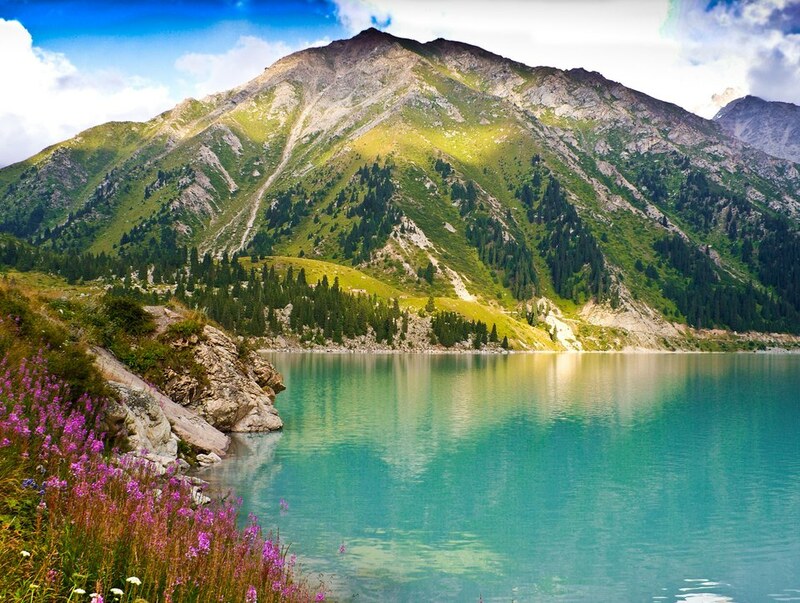 The lake is a source of potable water for Almaty city, which is why the access of tourists to the lake is limited. The tour route continues further up Big Almaty lake to the altitude of 3300 meters above sea level, where scientific premises for astronomical and space researches have settled. Here, you can enjoy a fascinating panorama of mountains and the Big Almaty lake, surrounded by the picturesque mountain peaks covered with Tian-Shan fir-tree, aspen and juniper. On the way back to the town you will visit the Falcon Farm, where you will enjoy a spectacular show with specially trained hawks – hunting with them is one of the most unique features of the Kazakh way of life. Free cancellation: 8 days or more prior to start date of activity. 20% Cancellation Fee (80% reimbursement): between 4 to 7 days prior to date of activity. 100% Cancellation Fee (no reimbursement): 3 days or less prior to date of activity.